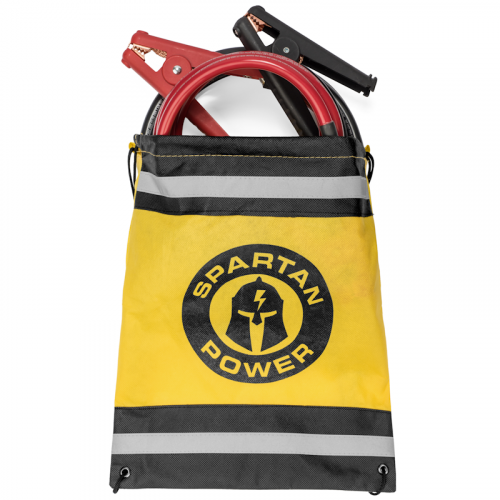 Spartan Power Heavy Duty Battery Jumper Cables come in two sizes: 2 AWG and 1/0 AWG (0 gauge) in lengths of 10 and 15 feet. 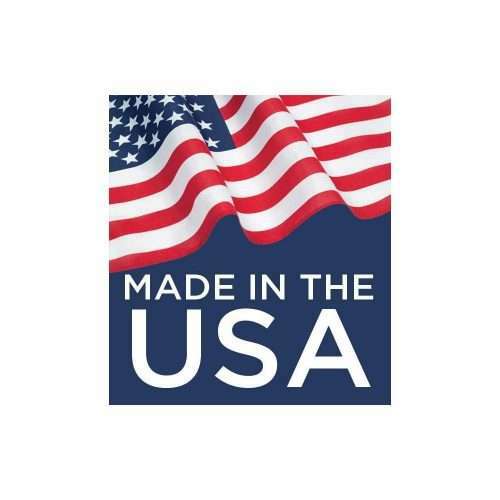 All heavy duty jumper cables are Made in the USA using UL listed cable with seamless tinned copper ring terminals and adhesive lined heat shrink which is resistant to water, fungus, and UV light. 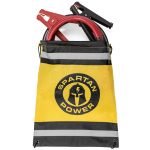 All Spartan Power heavy duty jumper cables come with a Lifetime Crimp Warranty. Heavy Duty, Made in the USA, 2 AWG & 0 AWG alligator clamp jumper cables for jump starting a dead or weak battery. 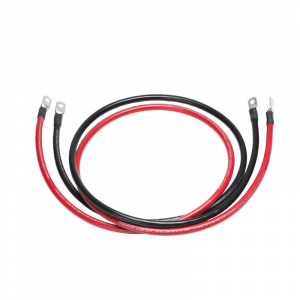 Same great UL listed cable found in other Spartan Power inverter battery cable sets. 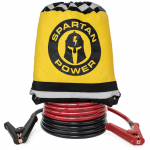 Ideal for starting or to jump start a large diesel truck, heavy duty fleet equipment, cars & semi trucks, etc. 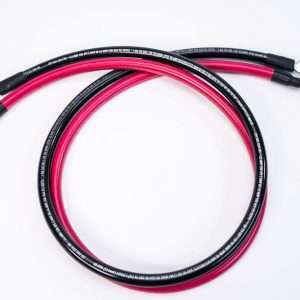 The best jumper cables for cold weather and harsh environments. 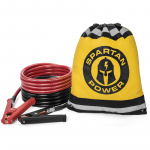 Comes with a bright portable yellow storage bag with drawstrings and roadside emergency reflective safety stripe. 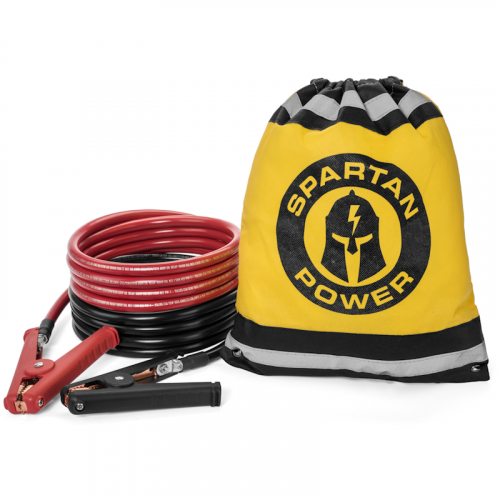 Storage pack doubles as a convenient backpack. 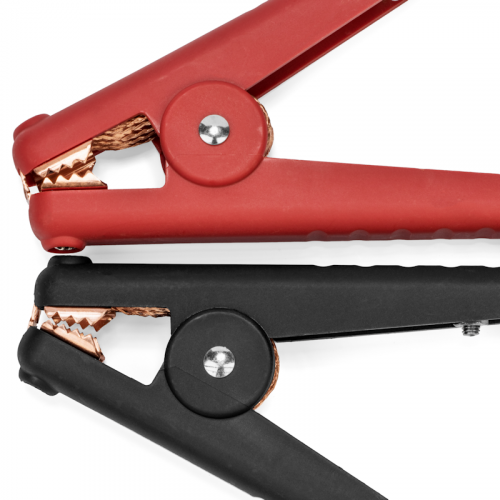 100% pure copper cable sets come with adhesive lined irradiated polyolefin (PO) heat shrink which is exceptionally resistant to water fungus and UV light. 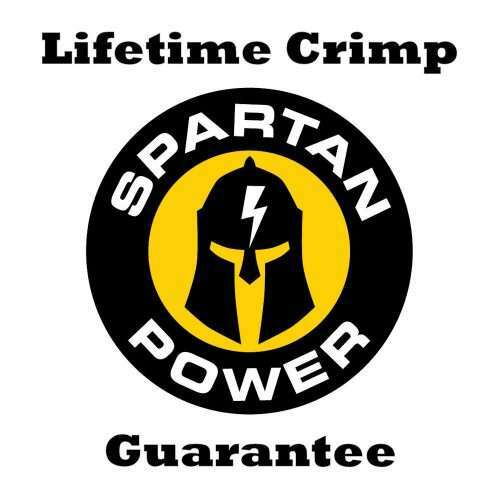 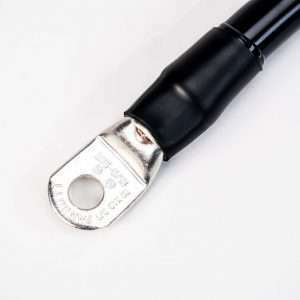 All Spartan Power automotive battery cables come with their Lifetime Crimp Warranty. 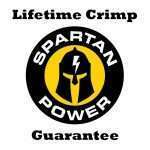 If you ever experience a crimp failure Spartan Power will replace or fix the cables for the life of the product. MADE IN THE USA, BUY AMERICAN!